Houses for Rent Gainey Ranch, 85260, Phoenix, McCormick Ranch, 85258, and Scottsdale, AZ: Get 3 Tips Today! Have you just shifted to a new city and are looking for a place to stay? Well, purchasing places can be a little too burdensome for your pockets at this stage. So, it is better to opt for rentals. There are plenty of homes available for rent. You just have to find the right real estate company to guide you to the right one according to your needs and budget. 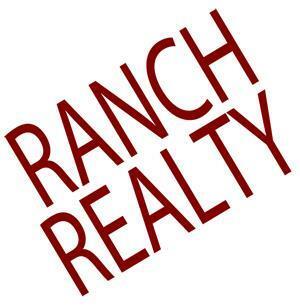 We, at Ranch Realty, can be your savior. We are an experienced and renowned company with more than 40 years in this field. We work with several residential real estate owners and investors which have made it possible for us to provide our clients with superior quality homes for sale as well as houses for rent. Our residential real estate property management, sales, and leasing services extend to areas like 85258, 85260, Gainey Ranch, McCormick Ranch, Phoenix, and Scottsdale. You can trust us for all kinds of houses, townhouses, or condominiums. If you need a house on rent for short-term or long-term leases, you can come to us. Here, we have put together a few ways to easily find a reputed real estate company like us. Take a look. You should understand that real estate business survives on a network of referrals. So, it is quite likely that you will get quite a few reputed names if you take recommendations and suggestions from your trusted source of friends and families. Next, in this digital era, we always resort to Google if we need to find something. So, look for the right company by looking up the internet. Go through the online ratings and reviews to get a few names. Also, check the customer feedback section on the individual websites to make a well-informed decision. Lastly, in order to arrive at a conclusion, take rental quotes in advance from different companies and their offered houses for rentals, and compare them to see which one is the best for you. So, get started now. And if you feel we can be the right choice for you, then quickly get in touch with us today.